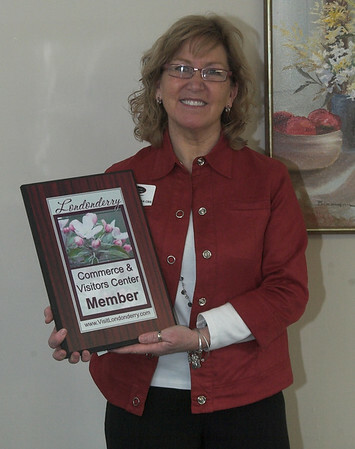 Home Helpers of Londonderry has been assisting a variety of patients in southern New Hampshire since it opened in January of 2009. Owner Bonnie Roberts opened the company to better serve those in need, a passion she’d spent most her life pursuing. Roberts is a retired Navy Chief with twenty-two years of service in the Navy. She was raised with the values of helping others and, upon retiring from the Navy, worked alongside her husband. When the economy changed and the need to diversify arose, she looked for work that would serve others, be a part of the community, and meet a service that was needed in the community. Home Helpers was the perfect fit for Roberts. Home Helpers is a home care provider that is licensed with that State of New Hampshire’s Health and Human Services Department. They provide home making, personal care, and transportation to a variety of clients, including the elderly, new moms, and patients who are in need of short term home care due to accidents, surgeries, hospice, and more. Home Helpers works with clients of all ages and needs. Home Helpers also offers weekly care, on call care, respite short term care, and companion care. Services provided by Home Helpers include laundry, general home care cleaning, making the beds, and personal care such as showering. They will also transport clients to appointments, grocery and department stores, and events. Hours are very flexible, as are scheduled visit times. Home Helpers also offers twenty-four hour on call service. Staff members must go through certification and classes in order to work at Home Helpers. Background checks are done on all staff, as required by state law. Staff must also go through a sixteen hour course in order to provide personal care, and all staff is required to train each month for an additional hour. They must also attend bi-monthly courses. Roberts stresses that clients should consult area providers before choosing one. “Go to a couple of providers to make sure you are getting the best in home care you need,” she said. “Once you have made the decision to use our services, we will come out and do a survey of the conditions and make recommendations to help with the care.” The survey acts as a safety check not only for the client but also to make sure the staff members are working in a safe environment. During the first visit, staff members will go over the paperwork necessary to begin providing care. The schedule will also be determined at this time. Home Helpers will do additional reviews every three months to make sure the client, staff, and facilities are working well. Additionally, as a result of her service in the Navy, Roberts is very dedicated to veterans and works closely with the VA medical center in Manchester, New Hampshire. She said that Home Helpers also serves all of southern New Hampshire and provides services in a variety of settings: the client’s home, a relative’s home, assisted living situations, or a nursing home. Recently, Home Helpers opened a new location on Rockingham Road in Londonderry. For more information, visit their website or call 603-845-3333.